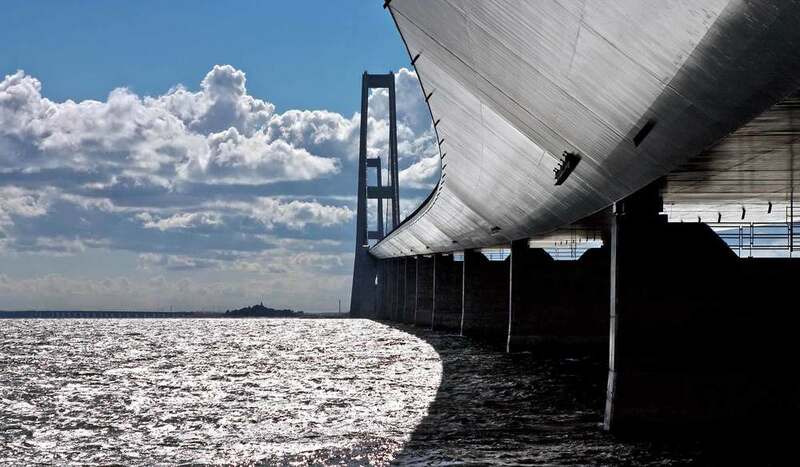 The Great Belt Fixed Link is one of the largest bridges in the world. 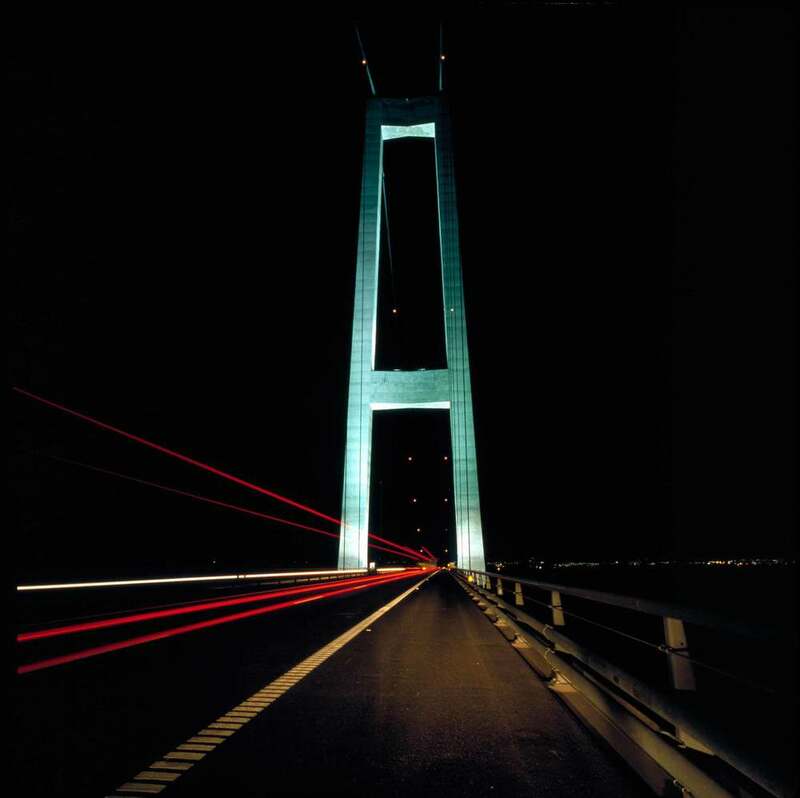 The Link interconnects the regions of Denmark and has made getting around Denmark a lot easier. The structure incorporates the Eastern Bridge (a suspension bridge), the Western Bridge (a low-level bridge) and the Eastern Tunnel for the railway (an undersea bored tunnel). In 1988, DISSING+WEITLING was selected for the comprehensive task as architects for the project and, together with landscape architect Jørgen Vesterholt, has been responsible for the design of all visible structures and their fitting in the landscape. In addition DISSING+WEITLING developed the general guidelines and specifications for the detailed design of equipment and permanent buildings, lighting, signs, surfaces and colours. The overall aim was to ensure that the Great Belt Link appears as a visually clear, easily understood whole which, given its enormous size, dovetails harmoniously with the landscape. 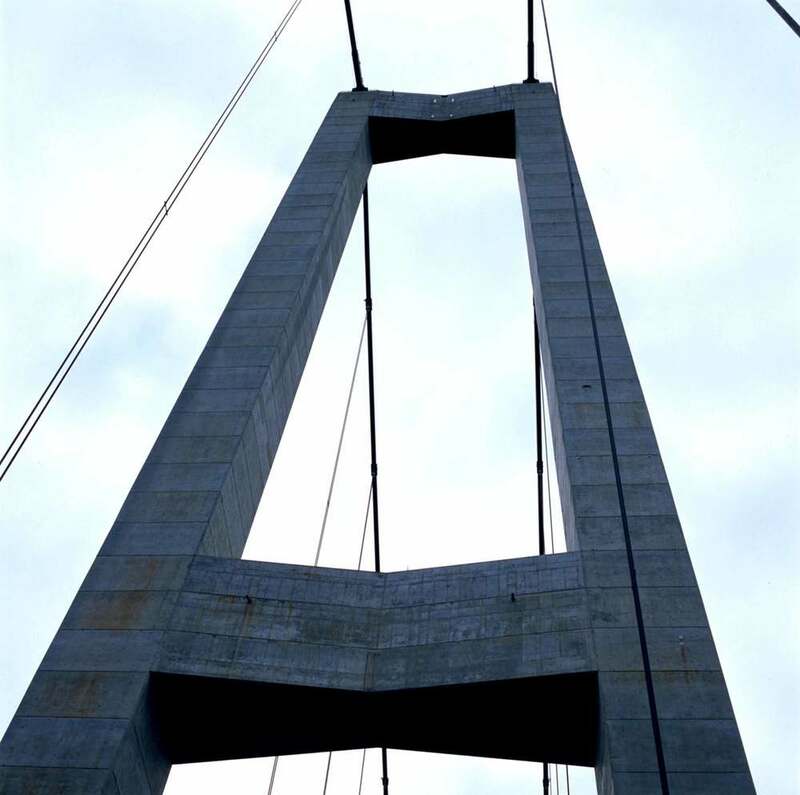 The Eastern Bridge – the big, light suspension bridge with its characteristic cable profile and two 250-metre pylons are the highest points in Denmark and bear the cables whose free span of 1,600 metres is the second longest in the world. The Eastern Bridge itself is 6,700 metres long, with a passage height of 65 metres. 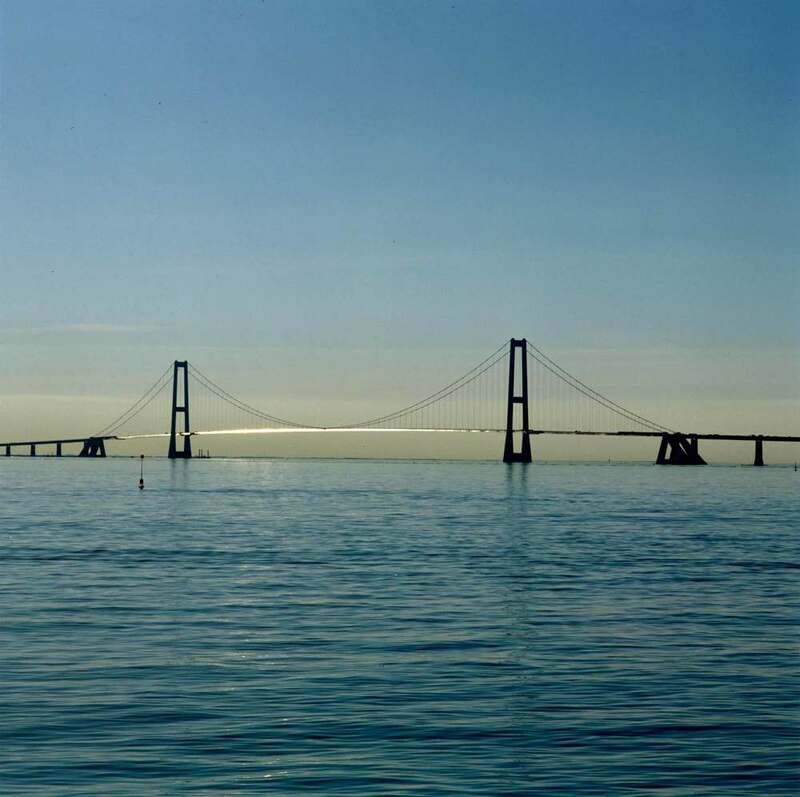 Often used for PR purposes, the bridge has become a popular symbol of Danish expertise and sound craftsmanship. Half way across the Great Belt is the island of Sprogø, where the bridges and the eight kilometres tunnel meet. The complete link is 18 kilometres long and was built between 1988 and 1998. On average, more than 27,000 cars a day traverse the bridge. DISSING+WEITLING architecture blev i 1988 udvalgt til den omfattende opgave som arkitekter for Storebæltsforbindelsen, og har sammen med landskabsarkitekt Jørgen Vesterholt stået for udformningen af samtlige synlige konstruktioner og deres indpasning i landskabet, den æstetiske udformning af alle tekniske terrænformer samt udarbejdelsen af generelle retningsliner og specifikationer for detailudformningen af udstyr og permanente bygninger, belysning, skilte, farver og overflader. Det overordnede sigte har været at sikre, at Storebæltsforbindelsen fremtræder som en visuelt klar, let opfattelig helhed, der, sine enorme dimensioner til trods, indpasser sig harmonisk i landskabet.